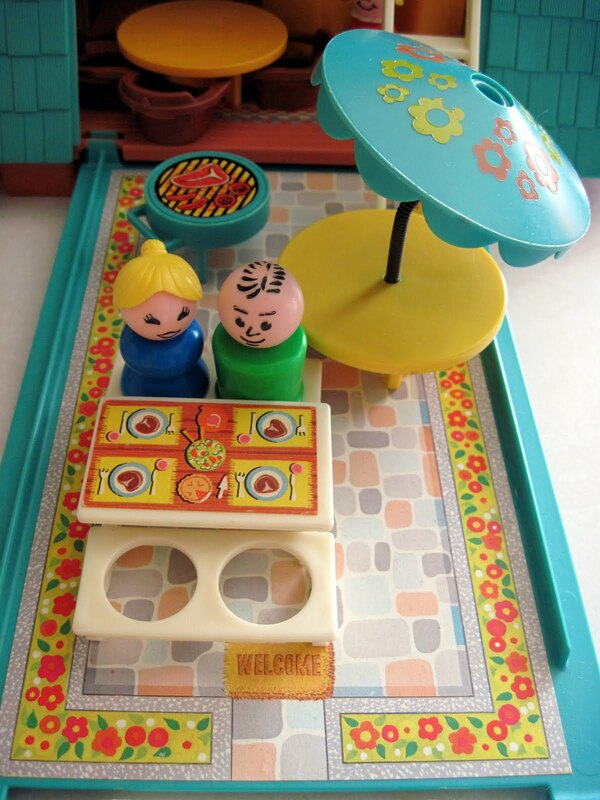 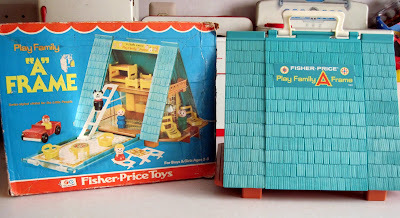 The Fisher Price people in the previous post (1960s Nifty Station Wagon) might be traveling to this lovely vacation resort, the Play Family A Frame house, made in 1974. 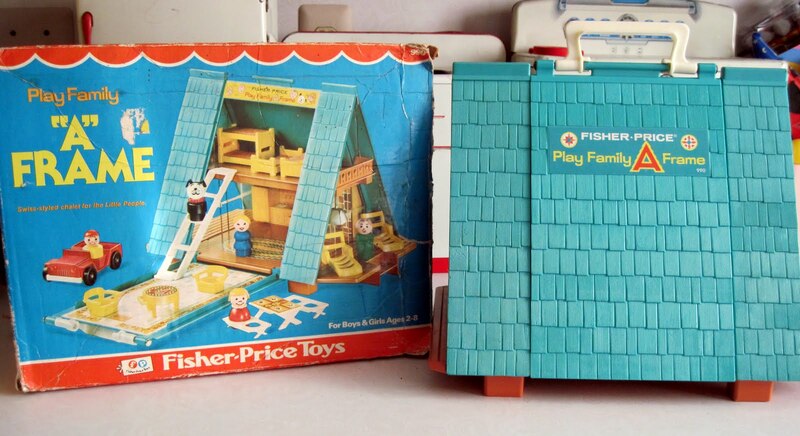 These kitschy structures were all the rage as holiday homes across the United States in the 1960s and '70s, and Fisher Price's 11 inch tall version is absolutely adorable. From the aqua green roof tiles to the faux-Bavarian balcony, built-in kitchen, cozy fireplace, and comfortable patio, they got all the details just right. 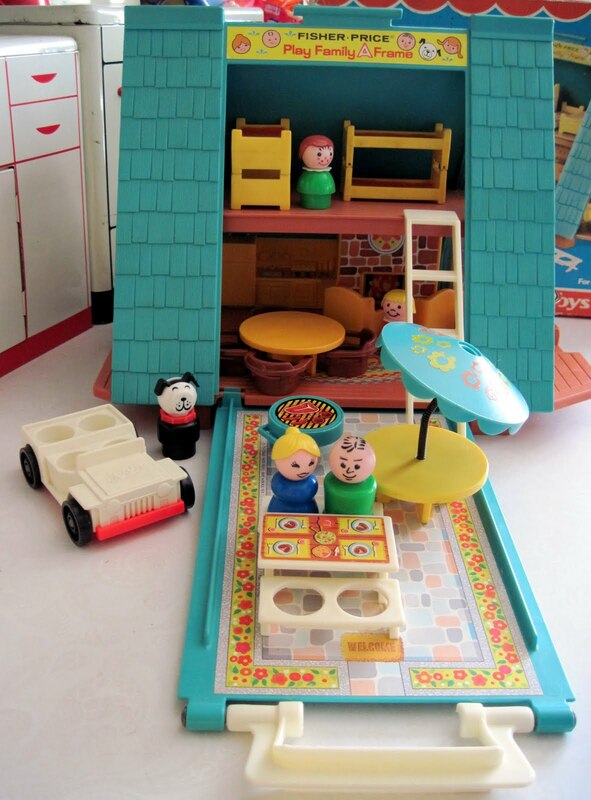 Outside, there's a balcony and a deck on each end. You can see bunk beds through the doorway on the top floor. 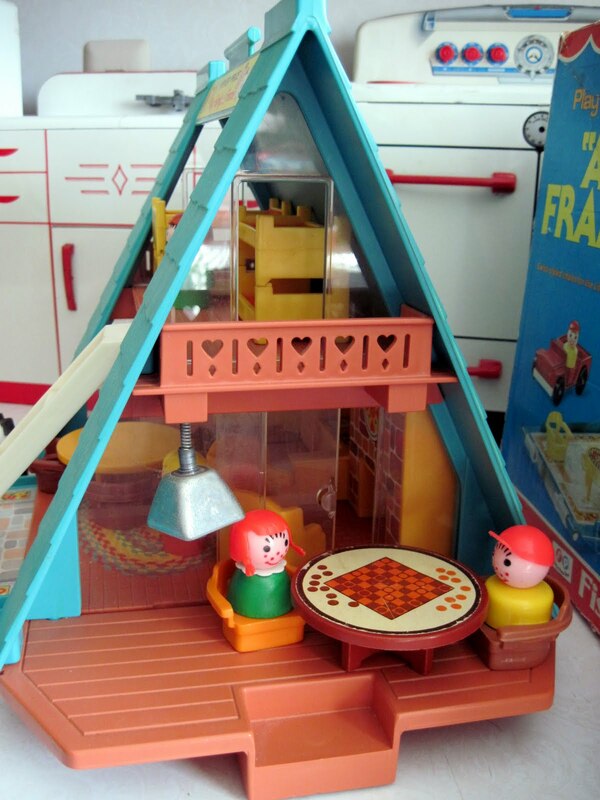 I've added a FP checker table and a couple of visiting cousins to the deck. 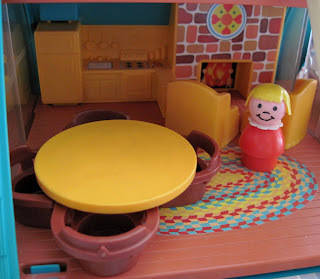 It all looks so inviting, it makes me wish I could visit!